Moving a Canadian Hockey League team to a crowded market like Winnipeg that already boasts NHL and AHL clubs would present several challenges, sports business industry professionals said. According to a sourced report in the Winnipeg Free Press last week, the owners of the Western Hockey League's Kootenay Ice were preparing to announce Monday that the franchise would be moving to the Manitoba capital next season. However, in a subsequent report, the team's majority owner told the outlet there were no plans for an announcement and nothing was pending. The Jets have been king in Winnipeg since the National Hockey League returned to the city in 2011. The American Hockey League's Manitoba Moose, who are also owned and operated by True North Sports and Entertainment, came back to Winnipeg in 2015. Tom Mayenknecht, a marketing communications executive and sport business commentator, said if the Ice did relocate to Winnipeg, differentiating themselves from the other hockey offerings in the city would be key. "They'll have to be very aggressive with their pricing in terms of really making it a family entertainment opportunity and price it a heck of a lot lower than the Jets and even the Moose," Mayenknecht said from Vancouver. "I think it can be done given how strong the demographics are of the hockey market in Winnipeg, but it certainly is a crowded house." It's rare for one Canadian market to have three hockey teams at those levels. Toronto was the last to do so, but that ended in 2007 when the Ontario Hockey League's St. Michael's Majors moved to nearby Mississauga, Ont., leaving just the NHL's Maple Leafs and AHL's Marlies in town. According to the original report, the incoming team would eventually play in a mid-sized arena just outside city limits near Winnipeg's southwest end. The University of Manitoba's Wayne Fleming Arena would be home — likely for two seasons — until the rink is ready, the report said. "If they are smart in terms of the community partnerships that they establish, if they have a winning product relatively early, I think they can compete," Mayenknecht said. "But I do think that not operating underneath the True North umbrella will make it, in my opinion, a challenging proposition to be any more sustainable or financially strong as the Kootenay market was. "When you see a relocation, you tend to want to say, 'OK that is definitely a better situation for them.' I'm not sure that's the case." Sellouts are the norm for the Jets at Bell MTS Place but the Moose have seen a steady decline in attendance since their return. The junior game offers a slightly different style and could market itself as a showcase for fans to see the stars of tomorrow. "The one wild card is the Winnipeg market," Mayenknecht said. "It's not a Toronto or Montreal or Vancouver with all the urban distractions and multiple offerings. But it's also not a really tiny 500,000 or 250,000-size market ... hockey is such a big part of how Manitobans get through the winter months." In a city of about 800,000, one concern would be whether the hockey dollar might be spread too thin. 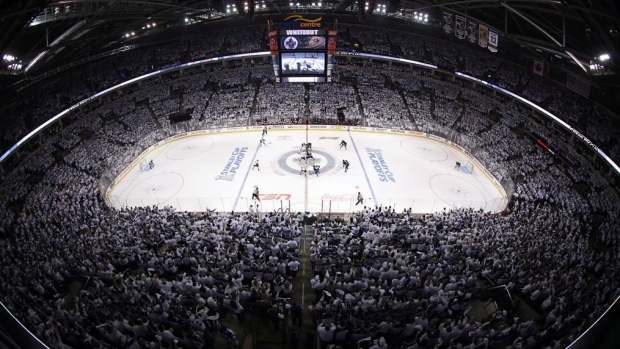 Sports marketing specialist Richard Powers, an associate professor at the University of Toronto's Rotman School of Management, said Winnipeg has proven itself to be a hockey town but adding another club might be asking too much. "All three of these clubs are going to be competing for the same market share," Powers said. "People already have their allegiance obviously to the Jets and the Manitoba Moose, to bring another team in there is going to be a very hard climb. They have a new arena to be built and they'll be limited to the capacity that they have there. "I just don't see how it can be financially viable." The WHL issued a statement regarding the franchise's situation earlier this season and a league spokesman said Monday that it still holds. "The WHL is very pleased with the commitment Greg Fettes and his ownership group has made to Cranbrook and the Kootenay region since acquiring the Ice franchise in 2017," said league commissioner Ron Robison. "The WHL is looking forward to the Kootenay Ice continuing to operate this season in Cranbrook. The WHL commissioner continues to monitor the situation in Kootenay very closely and reports to the board of governors as required on any new developments. "The discussions which take place on WHL franchises are internal and will remain confidential. With respect to the Kootenay Ice franchise, there is nothing new to report at this time." The Ice have struggled this season with just seven wins in their first 33 games. A message left with team president and general manager Matt Cockell wasn't immediately returned. If the franchise does move east, turning things around on the ice would also help matters in a new market. "As a startup, operating outside of True North, they're going to have to invest in their own marketing and sales infrastructure," Mayenknecht said. "They're going to have to go from zero to 60 miles per hour on their own. "Anybody who's done any startup, whether it's hockey or any sport, or any business for that matter, those first two or three years are going to be absolutely critical."